The Marlin Counter Stool is the perfect way to add a hint of glamour to any modern space. 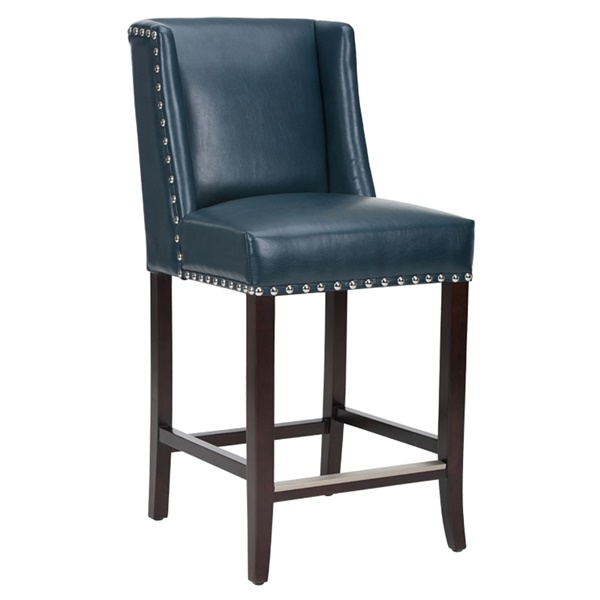 The transitional wing back design is accented by large silver nail head embellishments to give the stool a classic aesthetic. Underneath the beautiful seat is the sturdy wood frame which features an alluring espresso finish that really give the Marlin Counter Stool that professional look that just goes with anything.